We spend the majority of our time working on custom flower designs for our interior designer and corporate clientele. There’s nothing we love more than creating floral arrangements tailored perfectly to suit your space, brand or event. 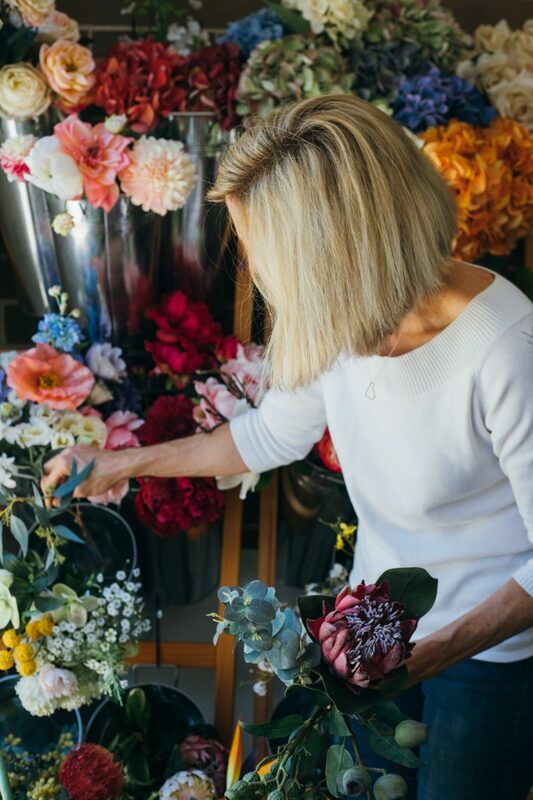 Whether it’s table arrangements for your home or office, or large show-pieces designed to wow at a product launch, we get excited choosing every single bloom. We’ve worked with many interior designers across the country, including remote country locations. Thanks to the wonders of modern technology, we’re able to photo share and live stream via our studio, allowing for a collaborative experience from design to build. It’s important to us that your design is as versatile and functional as it is beautiful, which is why it’s wonderful to have you as an integral part of our process. Whilst we welcome private custom enquiries please note that the service does carry a design consultation deposit with arrangements usually starting from $350. If you are looking for a design for your home we encourage you to consider our boutique range online. The following questions are optional and will allow us to provide you with a design proposal and estimate quicker. Do you have any pictures of the space you're dressing or designs you've seen that you love? Maximum file size: 8MB - please use image files or zip multiple images together. Your personalised, friendly approach made the experience a pleasure and I’m reminded of it daily as I enjoy my gorgeous arrangement at home. Thank you, it turned out more beautiful than I ever imagined!